[PDF] Algorithms & Data Structures: The Science Of Computing (Electrical and Computer Engineering Series) | Free eBooks Download - EBOOKEE! 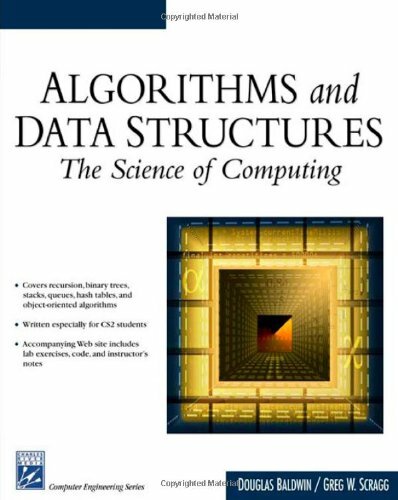 Description: While many computer science textbooks are confined to teaching programming code and languages, Algorithms and Data Structures: The Science of Computing takes a step back to introduce and explore algorithms the content of the code. Focusing on three core topics: design (the architecture of algorithms), theory (mathematical modeling and analysis), and the scientific method (experimental confirmation of theoretical results), the book helps students see that computer science is about problem solving, not simply the memorization and recitation of languages. Unlike many other texts, the methods of inquiry are explained in an integrated manner so students can see explicitly how they interact. No comments for "[PDF] Algorithms & Data Structures: The Science Of Computing (Electrical and Computer Engineering Series)".